Yes, you read that right! It’s not just Gators country. The arts and culture scene in Gainesville, Florida is off the wall…literally! The urban arts scene in particular permeates the college town, including an incredible murals project that can be seen and enjoyed throughout the city. I know. When most of you think Florida, your mind drifts to beaches and turquoise, tropical waters. And while there is definitely a time and place for the beach, I guarantee that a trip to Gainesville can be a culturally rich experience. Gainesville is smack dab in the middle of Florida, so it’s accessible from everywhere. The town offers fantastic museums, amazing theaters and tons of festivals. Calling all art and culture enthusiasts, Gainesville is where it’s at! I have to start with the murals project. Ever since seeing what local artists did to the parking garage walls at the Z Lot in Detroit last year, I am in love with the idea of re-capturing urban spaces and allowing artists to express themselves, the result is a win-win for the city, its residents and visitors alike. In Gainesville, the 352Walls (352 is the area code for Gainesville) project attracted artists from all over the world. Gainesville is partnering with local artists to transform the historic downtown walls into gorgeous public art canvases—so cool! There is a hosted block party on Feb 26 (hurry, book now!) to celebrate the street art and cultural additions in their entirety, as it’s the only public mural or ‘street’ art display of its kind in the North Central Florida area. It is worth a visit just to see these works. Although, given the fact that Gainesville has many festivals dedicated to food, culture and the arts, I’d likely coordinate a trip to be able to kill two birds with one stone. 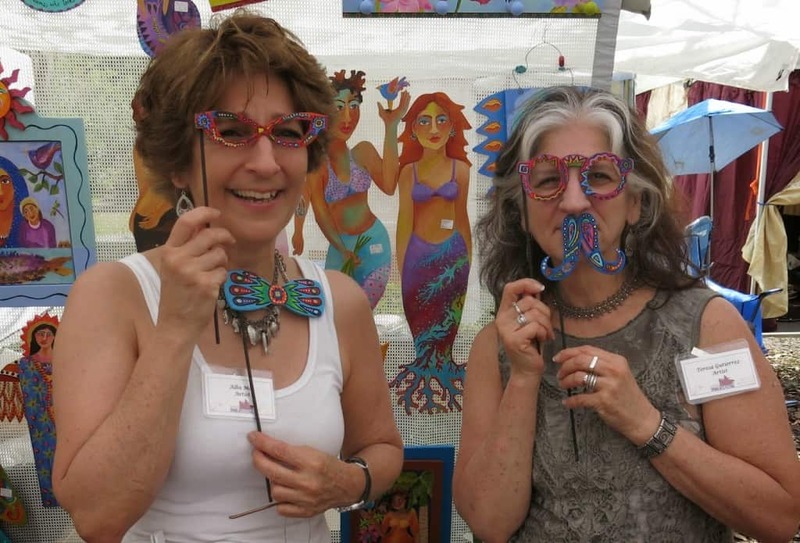 I can attend the Spring Arts Festival in April or the Downtown Festival & Art Show in November and be inspired by the vibrant splash of artistic expression while enjoying musical performances and browsing the local artwork. Support for arts and culture run deep in Gainesville. In 1923, three very smart women created the Gainesville Fine Arts Association with a vision to foster and celebrate artists in the city. This organization offers wonderful workshops, exhibits, competitions and galas and serves as another illustration as to just how wide, diverse and thriving the art and cultural scene in Gainesville is. 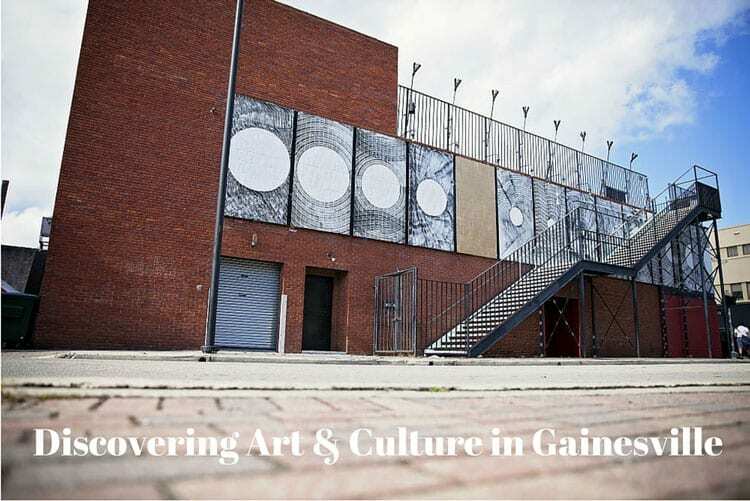 It is because of the long history of art, of dance, of theater (there are two fantastic venues for live theater – the Hippodrome and the Gainesville Community Playhouse) that the urban art scene can thrive as well. There is an acceptance of the new with the old, the evolving and revolving—it is exciting to see! And while the 352Walls project is nearly at its end, a new project to wrap the electrical boxes in Downtown Gainesville with a mosaic-like artwork is planned—having enjoyed the painted electrical boxes near my home in Emeryville, I can tell you that this is fun to see. That is just small sampling of what is going on. I hope I have convinced you to consider a visit to Gainesville in the future. In the meantime you can keep up with this dynamic town with an active art and cultural scene by following them on Facebook or Twitter. How about you? Have you visit Gainesville? Do you have a recommendation? Do you think you want to plan a future visit? Do tell! Disclosure: This is a sponsored post brought to you by Visit Gainesville. As always, all opinions are my own. I haven’t been to Gainesville in decades! And I’ve never visited the museums – have to make sure we do next time we’re in the area! 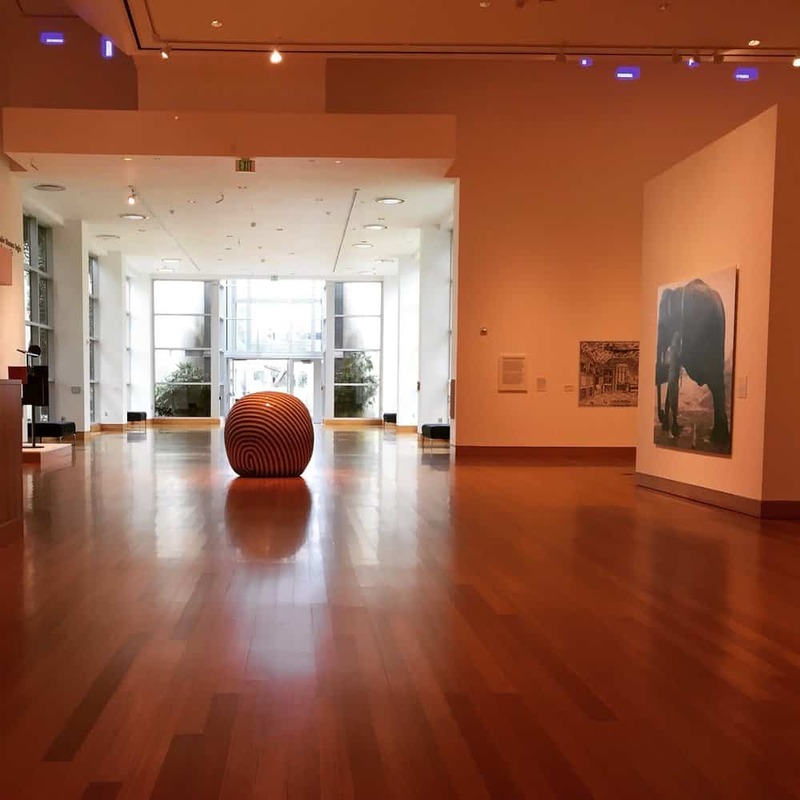 I have never visited Gainesville, but I love going to museums with my family. I will keep your ideas in mind if I am ever in the area. @Heather, lots of family-friendly things to do. I saw a fun painting class for kids at the Santa Fe College. Gainesville looks like a great place to visit! I have never been there before. I love the wall murals they look bright and pretty! @Vera, it is such a great way to keep the downtown vibrant and interesting. Oh, thanks! I had no idea Gainesville had such a vibrant arts scene! Gainsville is such a beautiful city here in Florida. So much to do. I must check out this area next time I go. @Tammy, yes definitely do particularly since you live in the state! Go to one of the festivals. I am always up for a new place to travel and Gainesville looks like a great spot to add to my list. I’ve always wanted to do a roadtrip from Florida to California and this would certainly be a point to check out! Your post really makes me want to go!